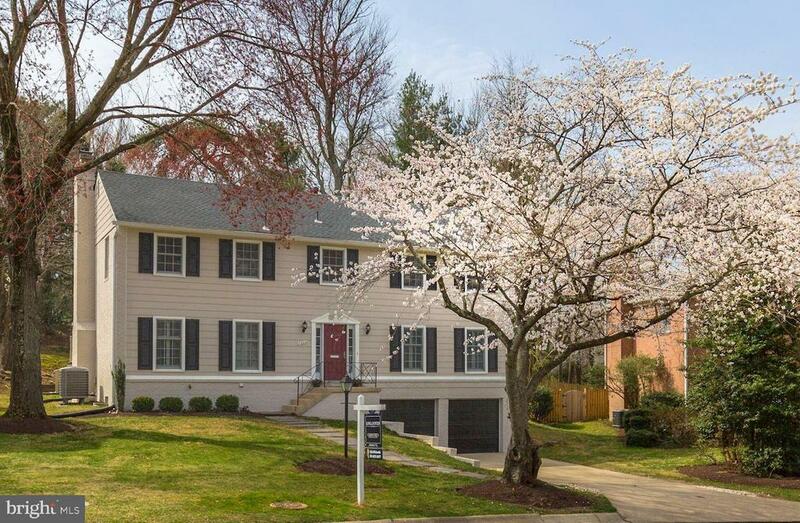 You will fall in love with this stunning, expanded, renovated four-bedroom, four bath home beautifully sited on one of the prettiest cherry blossomed lined streets in the Old Farm/Montrose Woods neighborhood. With over 4, 500 of living space on a large .25-acre lot, this masterpiece with quality craftsmanship and custom details throughout checks all the boxes- your dream kitchen, gorgeous renovated baths, gracious room sizes, home office, beautiful backyard, two car garage, fabulous, finished basement, awesome community & more. The centerpiece of the home is the expanded, renovated family room and kitchen with continent sized island, extensive cabinetry, and stainless-steel high-end appliances including Viking range and refrigerator. Two French doors lead from the kitchen and adjacent family room to the expansive deck overlooking the private backyard and garden. The upper level offers four large bedrooms, renovated hall bath and fabulous master suite with renovated dressing room, walk in closet, and spa master bath. The lower level includes a large rec room/media room, brand new bath, and ideal mud room/hall with custom coat hooks right off the two-car garage. New HVAC in 12/2017, Roof replaced in 2013. This is a perfect home for family living and grand entertaining. Location, location, location! Convenient to 270, Metro and all that Pike and Rose has to offer. A perfect combination of space, location, neighborhood, and quality renovation. Welcome home! Directions: From Tilden Lane, right on Farmland, left on Old Gate, left on Old Gate Place. From Montrose, turn onto Hitching Post, left on Old Bridge, right on Old Stage, left on Hitching Post, right on Old Gate, right on Old Gate Place.